The Dodd-Frank Act created the Consumer Financial Protection Bureau as an independent federal agency, to be led by a single director. The bureau's first director, Richard Cordray, resigned last week and Leandra English, the deputy director, became the agency's acting director by law, according to a lawsuit filed by English on Sunday. 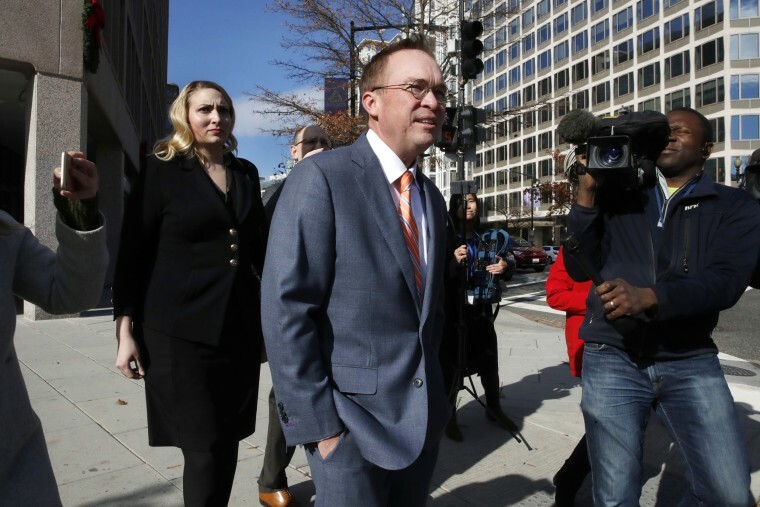 Hours after Cordray's resignation, however, President Donald Trump announced he was instead appointing his budget director, Mick Mulvaney, to head the CFPB on an interim basis. Today, both English and Mulvaney are claiming authority over the agency, and even sending e-mails to confused employees as acting director. According to English's complaint filed in federal court, the Dodd-Frank Act clearly mandates that English, as the deputy director, shall serve as the acting director. The Department of Justice disagrees. In a memo, the DOJ concluded that Trump has the authority to name Mulvaney the acting head of the agency. The director of the CFPB is one of the many offices filled by presidential appointment, with the "advice and consent" of the Senate. The federal Vacancies Reform Act of 1998 gives the president the power to temporarily authorize an acting official to perform the duties of an officer of an executive agency. The critical language in the Vacancies Reform Act is this: It is the "exclusive means" for authorizing the appointment of an acting head unless another statute expressly designates a particular officer to serve in that acting capacity. In fact, the law establishing the CFPB does just that: It expressly designates a particular officer and states that the CFPB's deputy director shall "serve as acting Director in the absence or unavailability of the Director." Here, both the DOJ and English agree. Where they disagree is on the meaning of the word "exclusive." English’s interpretation is that the Vacancies Reform Act is a default in case there is no other statute. But because the Dodd-Frank Act expressly designates how the CFPB vacancy is filled, then Dodd-Frank becomes the exclusive way to fill the post, and the Vacancies Reform Act ceases to have any legal authority. The DOJ's interpretation is that because the Dodd-Frank Act designates how the CFPB vacancy is filled, then Dodd-Frank just becomes one of two ways to fill the vacancy. The Vacancies Reform Act continues to be an alternative legal way to fill the vacancy. Under that interpretation, the Vacancies Reform Act is no longer the exclusive way to fill vacancies — it becomes an additional way to do so. The courts will have to decide which interpretation is right.